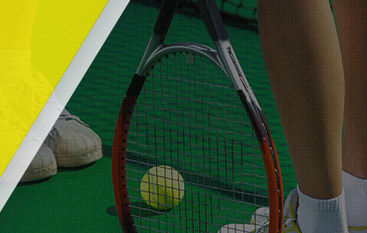 Tennis Lessons Granite Bay: Try These Tips To Get Your Head In The Game! Much of being an athlete doesn’t involve perfecting your swing or spending hours focusing on the ideal serve. If your head isn’t in the game, then you’re sure to make mistakes that could cost you a tennis match. This post will discuss some important ways to improve your mental game so the next time that you’re on the court, you’ll be sure to bring an intense game against your opponent, both mentally and physically. 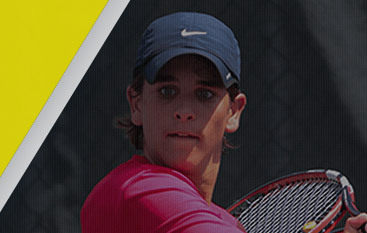 If you’re ready to focus on your tennis mental game and learn new techniques, contact Gorin Tennis Academy. We’ve worked with some of the most talented tennis players in the business and are proud to offer years of experience in teaching and instructing. Contact us to enroll in our tennis lessons today! It can be easy to get angry if your opponent is trash-talking you, if you keep messing up your serve, or if you just keep making mistakes that are beginning to affect your score. Instead of throwing your racquet in a fit of anger or responding to the jabs that your opponent keeps throwing your way, take deep breaths to keep your blood pressure and breathing level before you react towards anything. Chances are that the more time you take before you start yelling or stomping away, the less you’ll actually end up erupting in a fit of anger. If taking deep breaths doesn’t help, you can also count to 10 when you start to feel like lashing out. Keeping your wits about you will keep your mind focused on what you should really be thinking about: winning the match. Playing a match on little sleep will make for a difficult game. While it can be hard to sleep the night before a big game, you need to get as much shuteye as possible. Avoid all screens at least 30 minutes before going to sleep, do some gentle stretches to relax your body, or take a warm shower if you find that you have problems settling down at night. Changing your sleep habits is essential to playing a good game, and you’ll definitely benefit from plenty of rest. If sleeping is truly difficult for you, speak with your doctor about the issue so you can decide on a good course of action so you can wake up everyday feeling rested and rejuvenated. If you’re wearing an uncomfortable shirt or too-tight shorts, you’ll be distracted and struggle to focus on the match. An important game day is not the best time to break in a new pair of shoes or squeeze yourself into a skirt that may be too small. Choose a tennis outfit that you find comfortable and a pair of shoes that fit well and have already been broken in. Make sure you wear the right pair of socks as well to keep your feet safe from blisters. If it’s a bright day, you’ll also benefit from a hat or visor to keep the sunshine out of your eyes. When you’re wearing clothes that you’re comfortable in, you’ll be able to focus on your opponent and winning the game instead of how itchy the collar of your new shirt is. Tennis is a game of endurance, and sometimes it comes down to who has the most fortitude. To ensure that your mind can focus on beating your opponent, train your body to endure long hours on the court. Many tennis players run, cycle, or swim to increase the strength of their heart and lungs. 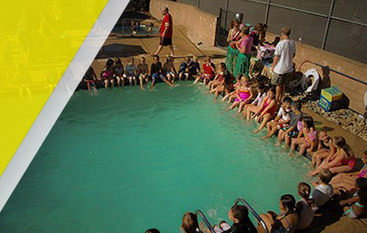 If cardio is not your strong suit, it may be time to get in the pool or take up running to gain a competitive advantage. Increasing your endurance will also increase your mind’s endurance, so the next time you’re in the middle of a long and intense match, you’ll be able to tap into those reserves and play even harder. Hearing the boos and cheers of the crowd, the sassy comments of your opponent, and the stream of encouragements from your coach can take up your headspace and mess with your concentration. Teach your mind to ignore everything while you’re on the court and focus on only what is at hand. Listening to everyone else except your inner thoughts will make you feel like you can’t focus on anything, much less than making a point. Get in the zone and teach yourself to keep your headspace devoid of any negative thoughts or emotions. Keeping your mind focused on the game, instead of what everyone else is thinking, will strengthen your resolve and help you to get more points. 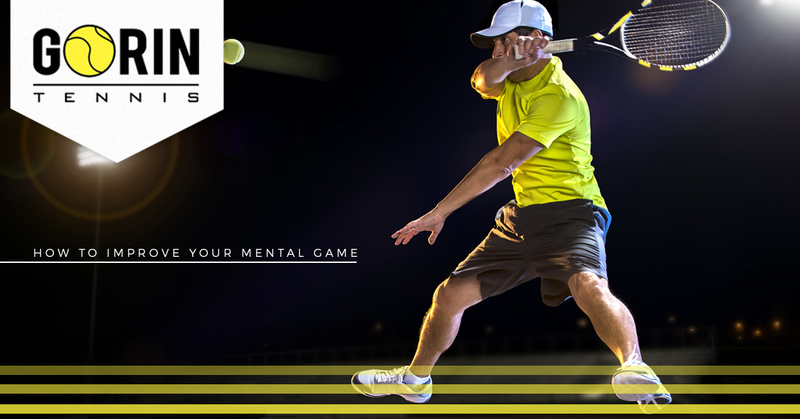 At Gorin Tennis Academy, we understand that training your mind is just as important as training your body. If you’re ready to take your skills to the next level, contact our staff now to enroll in tennis lessons in Granite Bay today!